Last week, I once again escaped from the demands of everyday work to think and talk about higher education, universities, learning and teaching, and academic life. This time it was a gathering of self-defined higher education scholars. 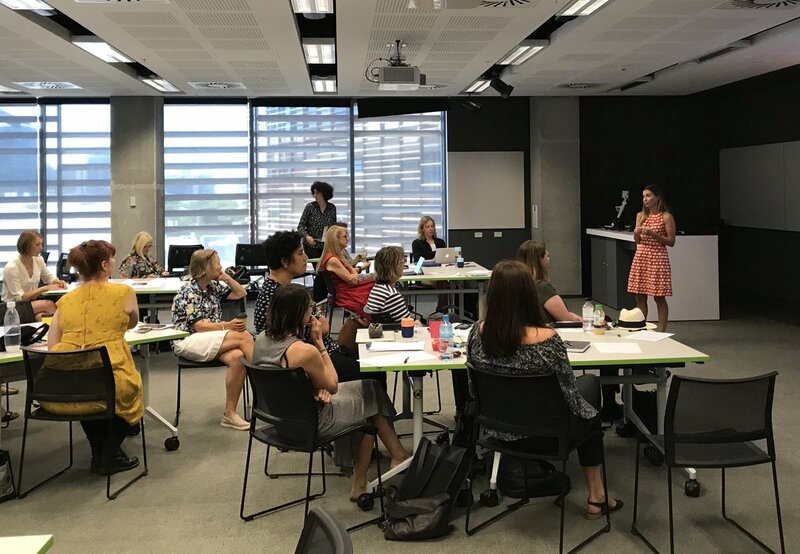 We are about 30 people, predominantly (entirely for this meeting) women, a mixture of professional (non-academic or administrative, for those outside of Australian nomenclature) staff, academics and academic developers, established scholars and doctoral candidates. The metrics that predominate in higher education research privilege quantity over quality: H indices, citation counts, journal impact factors, grant success rates etc. What else might quality look like? I’ve been thinking about this in relation to activism and social justice, affect and subjective measures of success, and collaborative research relationships. Based on work on quality indicators for learning and teaching that are attempting to move beyond measures of student satisfaction, quality is also how research is supported and resourced within our institutions, who is included and excluded from support and resourcing, and what professional learning for researchers at all levels looks like (e.g. mentoring, reflective practice, collaboration). An example that informs my understanding is a book I am currently reading: Michelle Boulous Walker’s (2017) Slow Philosophy: Reading against the institution, which describes ‘institutional reading’ as hasty, shallow, simplified and output-focussed, disengaged from a love of wisdom. #HEscholars the folly of mistaking the scholarly output as the ‘research’ rather than the whole process. I went looking for other mentions of this phrase, and didn’t have far to go. In some parts of the world, it’s still considered more important to guard settled beliefs than to test them. But in places informed by the values of research, we think differently: we believe not only that we may question settled beliefs, but that we must, no matter how much authority cherishes them (2009: p 129). The spirit of research has changed. research has a new meaning. Yet again poetry offers an opportunity to write outside of (or against) the quantification of academic research. On my reading list this week: Bonnie Dean’s poetic piece in the International Journal of Doctoral Studies and Quinlan’s How Higher Education Feels. I really like what you’ve written here Agnes. Here’s a few things that struck me. – “quality is also how research is supported and resourced within our institutions”. What I think you’re doing here is moving to a definition of research that nominates a whole set of social interactions. It seems to me that a proper recognition (and institutional focus) on this would be a big step towards improving the number and types of employment in research. Ie. A clear setting out of the many interacting roles and functions would help with recognising those roles as worth supporting – because they are essential to “research”. On this basis, where in the process does the slow work of reading happen? Would some people focus on this, while others do less, and more of something else? (On the proviso that each recognises the others’ importance!). Once again, Andrew, you have asked a great tricky question that I will need to mull over! I would hope slow reading could be a collaborative task – much like the way colleagues and I read identity/ subjectivity work recently. I have another post about this in the works, stimulated by Walker’s description of “institutional reading” as anything but slow. You also asked a question in response to a previous post about lack of recognition for achievements. I haven’t forgotten this, but it’s complex. Misrecognition – i.e. being recognised for the things you are not so proud of – is also a problem. I’d forgotten about my last question 🙂 And I won’t pile up more for you; patience is required here, isn’t it? As you know, I like thinking about these problems. Maybe even one day I’ll publish about them. Unsurprisingly – I’m a philosopher of methods and social science knowledge. I’ll have to check out the Walker book.